Reduce, Reuse, Recycle - Packing Solutions For An Environmentally Friendly Business. In recent years, global warming and climate change have been the subject of great debate and controversy. It has often been thought of as a problem of the future, something that won’t impact ‘our’ generation. But as the science has become clearer and consensus across the globe grows impossible to ignore, the debate has shifted towards solutions and how we can respond as a planet. In recent years, the effects of global warming, climate change and pollution have been impossible to ignore and had an observable impact on the environment. Campaigns and programmes, such as Blue Planet 2, have been critical in highlighting the impact of these changes, resulting in huge shifts in consumer and business behaviour. Sustainability is now one of the main focuses for consumers and business alike. And there is a growing risk for those who fail to act. Reduce, reuse, recycle – it’s a common phrase that we’re now very used to hearing. But, in the hectic world of business, remembering or finding ways to achieve this sustainability can be tricky. In this article, we take a look at ways your business can reduce, reuse and recycle utilising wooden pallets. Reduce is one of the most important of the three R’s, and one that is often overlooked. Using less packaging is the quickest and simplest ways to manage your waste and become more sustainable. Easy steps, like selecting packaging that is more flexible to your needs and reducing the amount layering can all have quick impacts. It is also important to consider reducing the amount of toxins used in your business’ packaging solutions. This is not only limited to how much material is used, but also the toxins used in the process of making the packaging. Additionally, using alternative modes of shipping that require less packaging and repairable pallets is another way in which your business can reduce its impact. Wooden pallets can be a great way of reducing your business’ environmental impact. Easily repairable and highly versatile, these types of pallet can be a quick and effective way of cutting waste and reducing your impact. Sourcing packaging that can potentially be reused in different ways and in other areas of the supply chain is another great way in which you can make your business more sustainable. One such way you can achieve this is by designing a closed loop system. Basically, a closed loop packaging solution is a system that doesn’t allow for packaging/ pallets to wind up in a landfill after use. Instead they are reused over and over again. 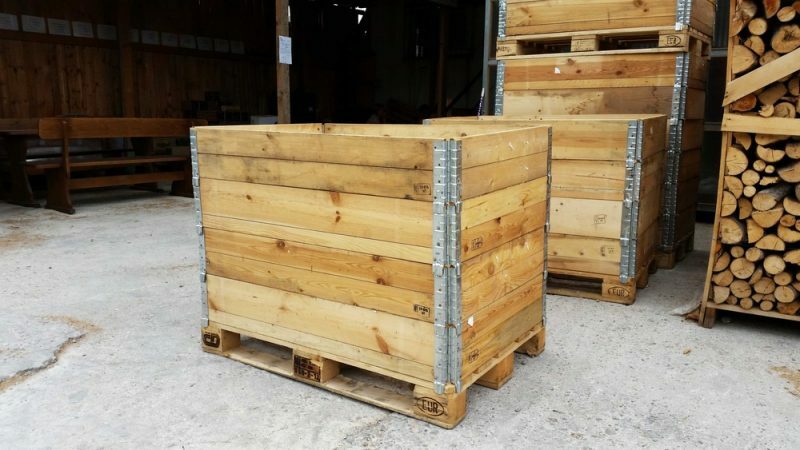 For instance, wooden pallet options can be used for shipping, storing, displaying, it can also be repaired if needed and can then be reused in the supply chain again. This closed lifecycle means that an item can be used and reused without limit. Recycling is a hot topic at the moment. Across the globe, there have been concerted efforts from governments and organisations to encourage consumers and businesses to recycle more. But what does it mean to use recycled packaging solutions? The truth is, it can mean many different things. For instance, it can mean any packaging solution that is recyclable or sourced from suppliers that use recycled materials in their manufacturing process. It can also mean that the end user is able to recycle the packaging after use. III. Recycling back into another non-recyclable product (also known as “open loop” or tertiary recycling).